The FlexLight-Stick™ is the most universal, and unique light stick on the market today. With its unique flexible end, the FlexLight-Stick can be folded during storage or use. (Read the Testimonial) The FlexLight-Stick™ is the most universal, and unique light stick on the market today. With its unique flexible end, the FlexLight-Stick can be folded during storage or use. 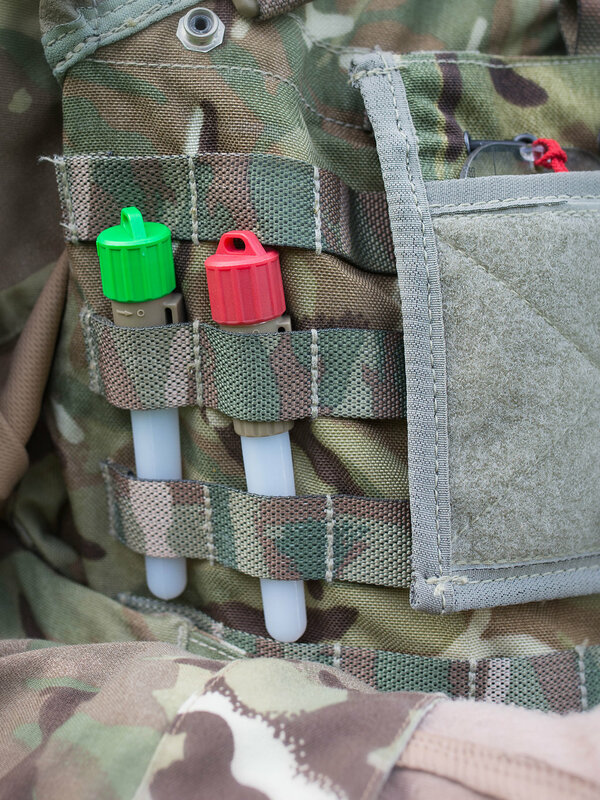 When gearing up, or on mission, it is far too easy to bend and inadvertently activate traditional chemical-sticks making them useless when needed later. The FlexLight-Stick can be bent, twisted or trampled and with a twist of the end cap, the FlexLight-Stick turns on when needed—not before. 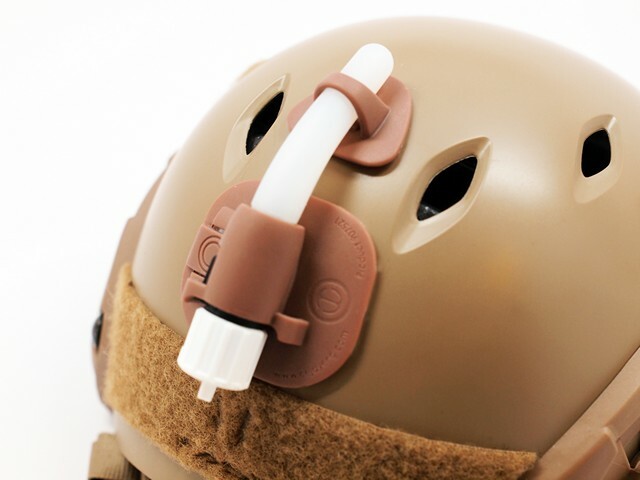 The FlexLight-Stick uses a long-life replaceable battery, so fewer are needed for mission. Replacing chemical-sticks with reusable FlexLight-Sticks can add up to a significant cost savings at the end of the year. FlexLight-Sticks are offered in numerous colors including infrared and ultraviolet. 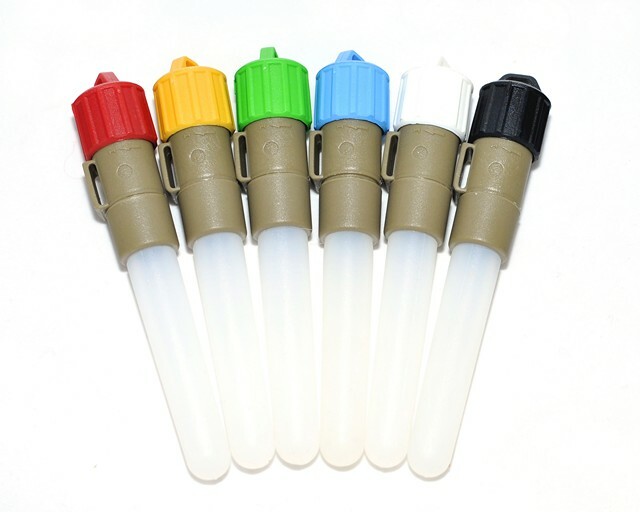 The color-coded end cap allows the user to quickly identify the light color. 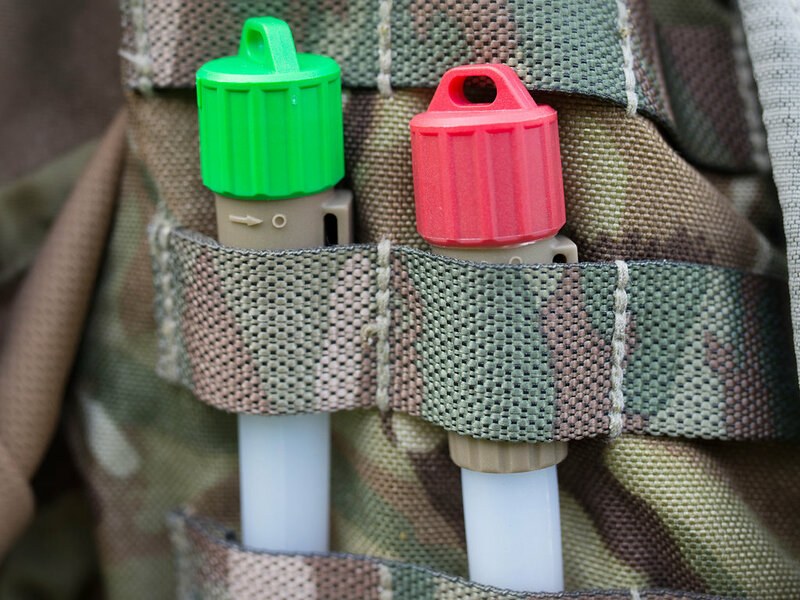 The squared off eyelet attachment point allows the FlexLight Stick to be attached using 550 cord, or Zip-Tie’s to MOLLE, Packs, Vests and nearly anything else you want.